Actual Gaming went out of business November 2016 – No explanation has ever been published, but they are no longer operating. 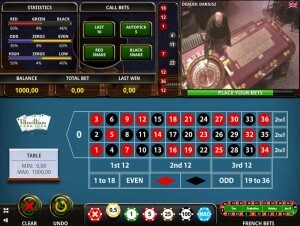 Actual Gaming are a live casino software solutions provider with a difference. They provide solutions that use feeds from real land based casinos as opposed to the live casino studios that a majority of other software providers use. Wirex and Authentic Gaming are the only other suppliers that currently provides feeds from land based casinos. Actual Gaming have been around for a few years but have only really established themselves in the market place since 2013. They were a subsidiary of VueTec who used to be an operator and supplier of live casino solutions but in 2015 took the decision to sell off some of their casinos and move their operations to Actual Gaming, You can see a list of those casinos that I’ve reviewed below. 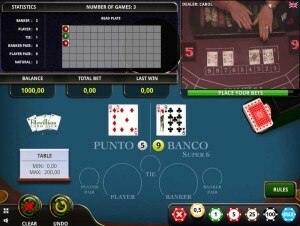 On the face of it the Actual Gaming live casino solutions look almost identical to what Vuetec offered. The player GUI’s have been updated, that’s the only real apparent difference. If I was a betting man I’d say there is a link between Vuetec and Actual Gaming but I’m not able to confirm that. It would be nice to know though as Vuetec had / have a good reputation in the industry so it can only be a good thing if there is some connection. In summary the products they offer are quite straight forward. If you want to offer your players a Live casino experience from real land based tables then this is one of the few providers that offer it. What’s unique about Actual Gamings proposition is you have a few ways to receive your games. You can take existing feeds from one of Actual Gamings network of tables from around the world. It’s possible to take one game from one location and another from somewhere else. So it’s easy to customise the experience for your players if you want. If you have a land based presence you can enable your tables to be viewed and played online. Either just by your own registered players or if you want an additional revenue stream you can become part of Actual Gamings network and allow your feeds to be used by other online casinos. If you choose to have your own dedicated tables, they can be setup at one of the network casinos or at your own casino. You can brand the tables and have dedicated dealers. Actual Gaming refer to this as their “Members Club”, other providers call it “Dedicated Tables”. It enables the operator to provide a personal service that should lead to greater loyalty and player retention. In my experience as a player I prefer dedicated tables as you often get on table promotions specific to the casino you’re playing at. Licensing can be an issue so Actual Gaming cover all of this. If you’re unable to offer online gaming due to in country restrictions Actual Gaming have a solution where you can still stream live games and allow players to play but not for real money. They call this their “Promotions Club”. You’ll also be able to offer your tables as live feeds for the network and gain a revenue stream from that. Hardware – Actual Gaming supply and install of all the hardware required to enable live streaming of casino games from a land based table. Some of the technology is very clever, especially the use of the cameras and close up effects. Software – The installation, management and support of the software that integrates the live table feeds with your online casino is also provided. The playing interface in my opinion looks very traditional, but there is only so much you can do with the software. One of the great capabilities they have is the ability to play for free, which allows players to test out the software. In an industry where trust is everything this is a great thing to have. Mobile – Whilst not immediately obvious from the website Roulette is available on mobile devices. No app or download is necessary you play in your browser. Actual Gaming have a good concept here. Trust in games and the operators is the number one priority in online gaming. With their streaming from real live land based tables and no cutting from camera to camera it’s as close as you’ll get to being in a real live casino. There are many people that like this format of Live Casino games and there are those that prefer a more modern spin. Either way there is something for everyone out there and Actual Gaming provide a good solution in this particular niche. It will be interesting to see how they develop over the coming years. In my opinion they must increase their range of games and the locations from where they take the streams so they can offer casinos and ultimately players the best possible experience. !